Zac Gvirtzman is a composer and multi-instrumentalist whose broad palate is balanced by a personal sensitivity that makes itself felt in the varied musical contexts in which he operates. As a composer he has created scores for theatre, film and dance and written for various ensembles as well as producing his own original projects. 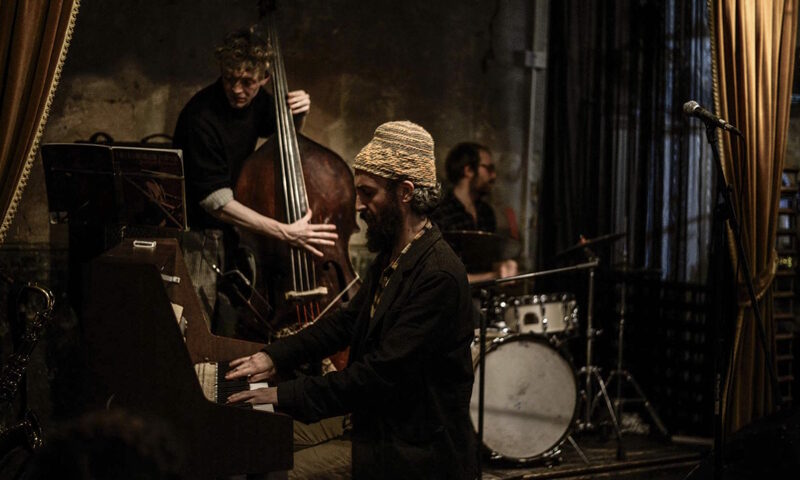 His love of Jazz began with Thelonious Monk's Harlem Stride-infused modernist compositions and since then he has developed as a pianist and saxophonist in the music's ragtime roots and contemporary currents. While studying composition at Oxford University he became fascinated with East European folk music and took up the accordion and clarinet. He has been a member of the F-IRE Collective since 2011 and has performed with Evan Parker, Eddie Prevost, Seb Rochford, Kit Downes and Jarvis Cocker and at the Union Chapel, Wilton's Hall, the National Gallery, Ronnie Scott's, the Royal Festival Hall and the Royal Opera House.